To supplement the success Emmanuel has attained with the Catechesis of the Good Shepherd curriculum, music was introduced as a weekly part of the faith formation for children in the fall of 2011. Each Sunday morning the children of Emmanuel begin their Catechesis time with singing as they learn songs of faith. Both children's choirs meet the second Sunday of each month following the parish luncheon. The Angel Choir is open for children ages 3-6 and the learn songs and develop musical skills appropriate to their age level. This group will sing during liturgy several times throughout the year. 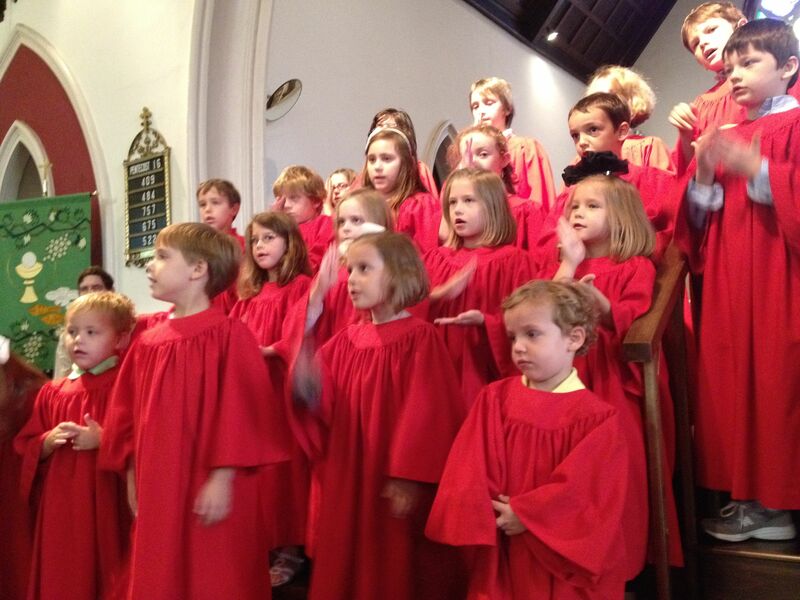 The St. Cecilia Choir is open for children ages 7-10 and they develop musical skills such as rhythm and reading music. This group will sing during liturgy several times during the year. For more information on music for children, please contact by email the Director of Music or 706-543-1294 ext 212.